Approximately 40 individuals returned to their homes in Hrawa after having been displaced to Aljufra and Ejdabia in 2016; reported priority needs of the returnees include NFIs and access to cash. 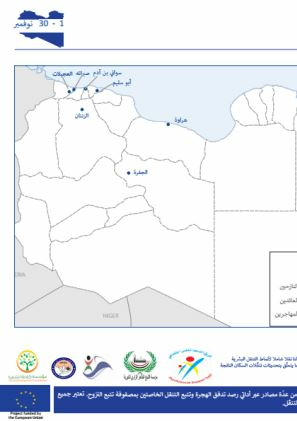 Furthermore, an estimated 350 migrants arrived to Hrawa from Ejdabia, Aljufra and Alkufra; some looking for job opportunities while others plan to continue their journey to other destinations. 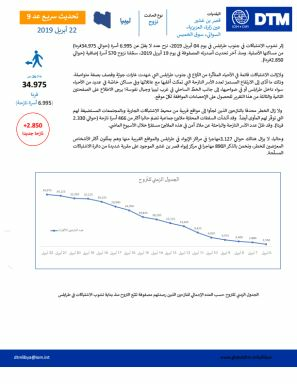 Reportedly, around 180 migrants arrived in November looking for work opportunities in Swani bin Adam and surrounding areas. 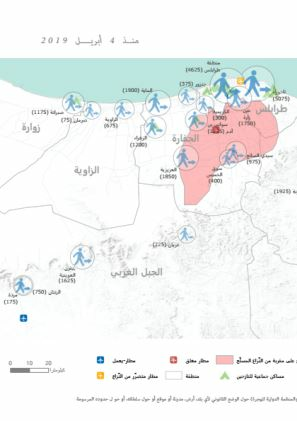 Following an attack on the town of Al Fogha on 05 November by suspected extremist militants, an estimated 320 individuals left their homes to the nearby towns of Houn, Wadden and Sakkneh. Humanitarian actors provided assistance in November to affected population.â€‹ During the reporting period, around 300 migrants reportedly arrived in Alzintan; most of them are planning to continue their journey to other destinations.â€‹ In November, at least 30 families reportedly left their homes in Sabratha to nearby communities and returned later in the month as the security situation stabilized. 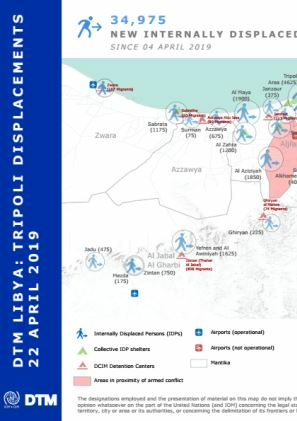 Around 50 households returned to Abusliem from Alzintan (where they had been displaced to following the 2014 clashes in Tripoli) in November. The 50 families have returned to their previous homes. 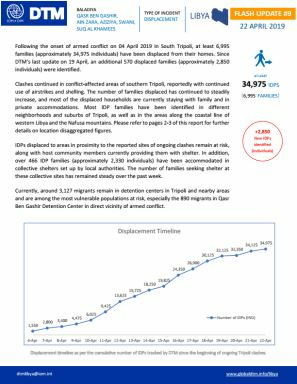 At least 3,800 migrants also arrived to Abu Sliem in November; some include new arrivals looking for work while others are returning to resume their previous jobs prior to the escalation of hostilities in September.â€‹ Reportedly, around 20 IDP families are in need of NFIs and food.